Regulations, labor supply risks and political and economic cycles are adding increased pressure to an already complex industry, but new IoT technologies are helping transform the future of the intermodal supply chain with smart data. 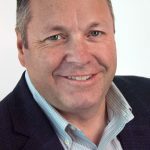 The rise of telematics technologies, e-commerce and globalization are adding new layers of sophistication to the industry, streamlining the flow of goods and information. These improvements have helped make the industry safer, more efficient, resistant to theft and cargo loss due to spoilage, and more profitable as costly errors are effectively mitigated. ORBCOMM has long been a pioneer in the industry. This year, we’ll be showcasing our latest technological developments in the areas of comprehensive visibility, management and control of trailers and intermodal containers virtually anywhere. We’ll also be displaying our truck management solutions for drivers and fleet managers. 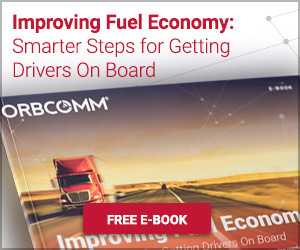 ORBCOMM’s fleet management solution makes it easy to manage driving hours, maximize billable time and comply with hours of service regulations. Our solutions also improve communications between dispatch and drivers and improve driver workflow capabilities. Fleet managers, meanwhile, get complete visibility of fleet, drivers and cargo from a dynamic portal and access to comprehensive reporting and alerts. ORBCOMM FleetManager: Streamline fleet operations with complete visibility of fleet, drivers and cargo. We look forward to discussing these technology advances and our other intermodal tracking and sensing solutions at the IANA Intermodal Expo 2018 trade show in Long Beach, California. IANA promotes the growth of efficient intermodal freight transportation through innovation, education and dialogue. Visitors will have the opportunity to enhance their knowledge of intermodal opportunities and trends, experience industry innovations and engage with industry executives and experts. Monday September 17, 3:00 p.m.
Get up close with ORBCOMM’s innovative solutions and learn why the industry’s biggest names, including J.B. Hunt, Maersk Lines, Hub Group, TOTE and others trust ORBCOMM to help increase operational efficiency, improve utilization, reduce cargo theft, and more. Going to be at the show? We’d love to meet with you. Schedule a meeting with us and visit ORBCOMM in booth #404 to learn how our leading telematics solutions help transport companies and fleet operators remotely locate, manage and control their fleets. For those we won’t see at IANA, feel free to contact us any time to discuss connected assets and fleet telematics.